Attorney R. Rudy Ramjeawan, Esq. | Ramjeawan Law Group, P.A. Whether you grew up in Central Florida or recently moved to the Sunshine State, you want an attorney who knows Florida law intimately. You likely want someone who knows the area, knows the people, and who knows how to get things done. Kissimmee, FL, attorney R. Rudy Ramjeawan, Esq., has been a proud resident of Central Florida for 15 years. He attended Oak Ridge High School in Orlando, then attended Valencia College before earning his bachelor’s degree in Legal Studies and master’s degree in Public Administration from the University of Central Florida (UCF). Attorney Ramjeawan earned his law degree (Juris Doctor) from Barry University School of Law in 2002. Attorney Ramjeawan has earned numerous educational awards, including being named to the Dean’s list and being named a member of “Who’s Who in American Universities.” He’s also returned to academia as an adjunct professor at his alma mater, UCF. He teaches various Legal Studies classes for the Department of Legal Studies at the UCF College of Health and Public Affairs. Attorney Ramjeawan has been involved in the legal field for the past 12 years, and has been an attorney for the past five. As an attorney in Kissimmee, FL, R. Rudy Ramjeawan, Esq., has single-handedly tried a wide variety of cases, including traffic offenses and DUIs, up to cases involving serious bodily injury. He also has been the lead counsel for several cases involving the death of an individual. 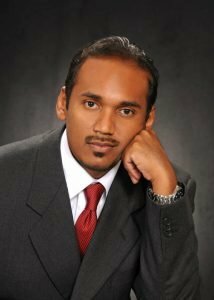 Attorney Ramjeawan has received specialized training in traffic offenses, DUIs, drug trafficking cases, illegal narcotics cases, manslaughter, white-collar crimes, firearms and firearms-related offenses, minimum mandatory offenses, repeat misdemeanor offenders, repeat violent offenders and probation violations. The legal process in Florida can be complicated. You don’t want to go it alone. Attorney R. Rudy Ramjeawan, Esq., will use his experience and specialty legal training to build your case. He’ll also give you the personal attention your case deserves. If you live in Kissimmee, St. Cloud, Orlando, Winter Park or any of the communities in and around Orange or Osceola counties, attorney Ramjeawan can help. Contact Kissimmee attorney R. Rudy Ramjeawan, Esq., today. You can reach him at the Ramjeawan Law Group, P.A., at 407-348-7839. He offers FREE initial consultations. Walk-in clients are always welcome, too.